Editor's note: This is # 18 in a series of posts by Dennis Horne about collectible books. The introduction is here. 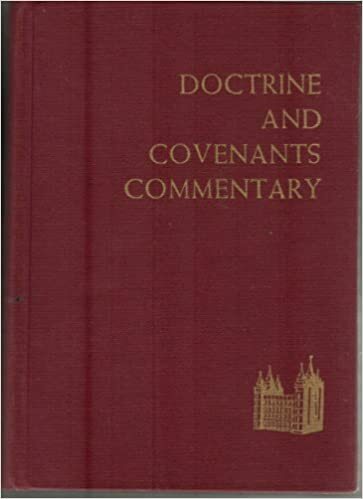 Doctrine and Covenants Commentary is one of few official LDS Church produced and approved books. It contains the text of the scriptural book, The Doctrine and Covenants, and also some commentary. The first edition (1919) carried the name of Elder Hyrum M. Smith, a member of the Quorum of the Twelve Apostles and a son of President Joseph F. Smith (also European Mission president at the time much of the work was done) as author of the introduction and explanatory notes; however, most of the actual writing was performed by Janne M. Sjodahl (editor at the time of the mission periodical Millennial Star), with others also assisting in various capacities—Orson F. Whitney, Joseph Fielding Smith, John E. Cottam, George F. Richards Jr., and Junius F. Wells. 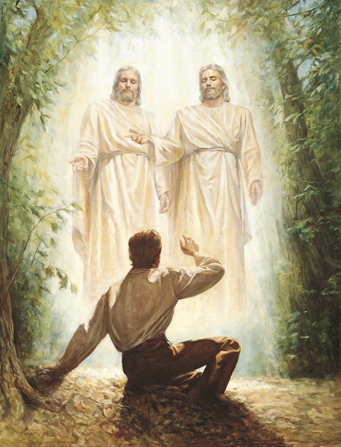 From the available historical evidence, it would seem that Janne Sjodahl had the original idea to write it and got Hyrum M. Smith’s permission and cooperation; then Sjodahl wrote it and Hyrum Smith approved it (along with other church authorities at headquarters in Salt Lake City). 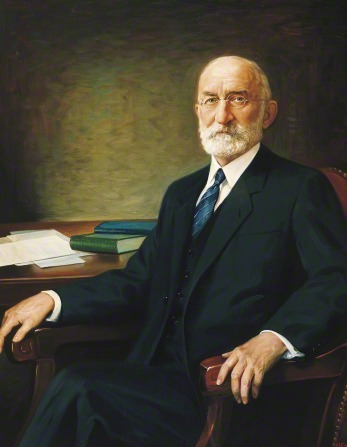 Elder George F. Richards, also of the Twelve, succeeded Elder Smith as president of the mission when the work was well underway (August 1916) but had little to do with it. George F. Richards Jr. remembered: “That project had been proceeding before we came in to the mission. Brother Sjodahl was living at mission headquarters working in the printers office (the business office at headquarters) and in his room. Of course then all of his conversions of thought and extensions and additions and his proof sheets could and were presented to Brother Hyrum Smith right there. … They may have been sent back to the Church for others to approve, they probably were. Anyway, all of his work was directly under the immediate sponsorship of President Hyrum M. Smith. When we got there that influence no longer prevailed. Father [Elder George F. Richards] didn’t have anything to do with what Brother Sjodahl was doing on his record. I don’t think Father was shown the proofs, he could have been; maybe he saw them, but I don’t think he did. But Brother Cottam and I got everything to proofread and then the material was sent back to Salt Lake, looked over and approved by certain other of the authorities, and then sent back. Then Brother Sjodahl was at liberty to set it up and print it. That’s the way it was done all the time we were there. Then when he’d get it all set up, I’d have to put his forms in the press, get them to working. A good bit of that first volume I printed. 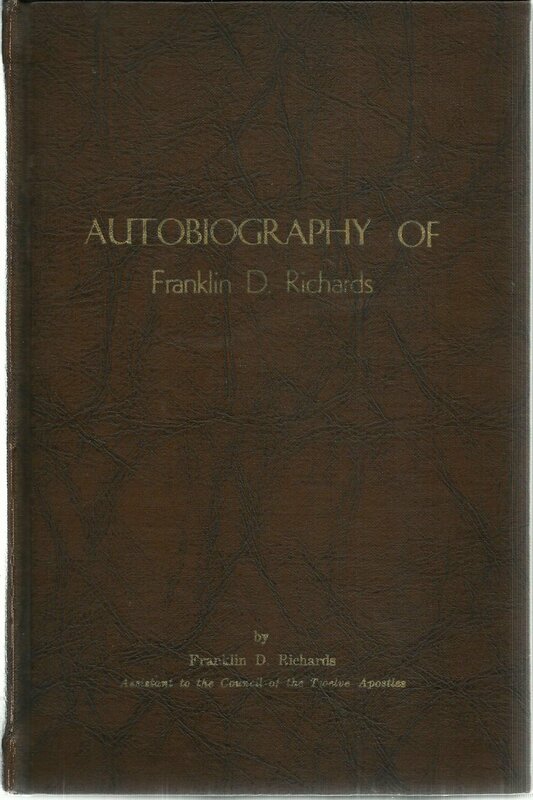 I couldn’t say just how much, but I imagine half of it anyway” (George F. Richards Jr. interview, as cited in Dale C. Mauritsen, A Symbol of New Directions: George Franklin Richards and the Mormon Church, 1861-1950 [BYU doctoral dissertation, 1982], 177-78). Editor's note: This is number 35 in a series of posts by Dennis Horne, sharing quotes from his book, Determining Doctrine: A Reference Guide for Evaluating Doctrinal Truth. You can read the introductory post here. The first part of each post is a new introduction, placing the quotes in context with contemporary issues. The quotes that then follow are from the Determining Doctrine book, which contains many quotes that are not readily available elsewhere or are exclusive to the book. Former (deceased) BYU Professor Hugh W. Nibley was asked to contribute to a 1965 Instructor magazine series of articles called “I Believe” on science and religion. 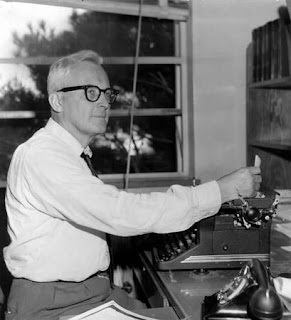 To make a long story short, his contribution was not published (but was decades later included in the Collected Works of Hugh Nibley.) After the piece was rejected, he sent a follow-up letter to the editor, complaining about the rejection and further justifying his reasoning and arguments—all to no avail. Nibley was not used to having his articles rejected by any publication and for a Mormon periodical to do so was extra annoying to him. Be that as it may, his thoughts on the subject, while being a little dated as far as current scientific thought is concerned, still offer some salient points to ponder about the uses and abuses some people make of science—especially anti-Mormons and atheists. Nibley’s basic arguments are as cogent and relevant today as they were when he first wrote them in 1965. We should always remember that the historical sciences are not exact sciences and that insofar as they are used or manipulated to weaken faith in the gospel of Jesus Christ, they or their purveyors are suspect. All the answers simply aren’t in and pointing fingers of scorn and mockery at people of faith doesn’t alter that reality. Editor's note: This is # 17 in a series of posts by Dennis Horne about collectible books. The introduction is here. “During these same years (1907 through 1919) Roberts wrote, compiled and published four of his five manuals or course books titled Seventy's Course in Theology. “These volumes represent the constant intrepid upreach of Roberts toward making the standard, the maturity, and the effectiveness of the quorums of seventy equal to their scriptural role. His heavy writing is symbolic of a crusade in his life. It was stepped up as he increased in sensitivity. He could never shirk his calling over a period of nearly forty-three years (from the time he was called as a President of the Seventy until his death in 1933). These challenging lessons ranged from an outline history of the seventy and an overview of the scriptures to a history of the major priesthood dispensations and the Mormon doctrine of deity, the atonement of Jesus Christ, and divine immanence and the Holy Ghost. They blend Roberts's double talent as historian and doctrinal expositor. During this period, attendance increased in the seventies quorums to 60 percent, and elders in the Church became eager to be called into the quorums of seventy” (Truman G. Madsen, Defender of the Faith, 298-99). Editor's note: This is number 34 in a series of posts by Dennis Horne, sharing quotes from his book, Determining Doctrine: A Reference Guide for Evaluating Doctrinal Truth. You can read the introductory post here. The first part of each post is a new introduction, placing the quotes in context with contemporary issues. 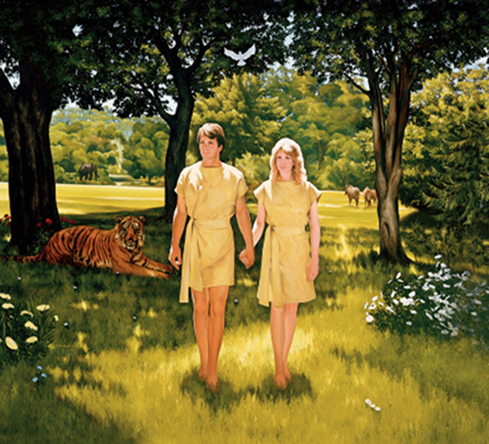 The quotes that then follow are from the Determining Doctrine book, which contains many quotes that are not readily available elsewhere or are exclusive to the book. While science has done a tremendous, almost unquantifiable amount of good in the world, it has also been used by some as a tool to do great harm to religious faith. False or weak religion will usually not stand up very well against solid, demonstrated science. Further, the weaker and less testable/demonstrable historical sciences are often the main culprits used against both true and false religion. Scientific “evidence” can be a tricky thing. Firstly, the only thing that will ever really help people with “serious doubts” is for them to work and strive with all their might, mind, and strength, until they prevail upon the Lord to give them personal revelation. Then the doubt is gone and with it the philosophies of men they have been clinging to. If the Book of Mormon and Book of Abraham are true, and they are because God says they are, then if there is “evidence” saying otherwise, it is not the scriptures—the word of God—that is suspect, it is the evidence. How often have critics used supposed scientific evidence or reputations or authorities to seek to weaken faith in these scriptural books? Do we therefore cast the books aside as the devil would have us do? We do not force round evidence to fit a square hole, but we are patient and work until we find true and verifiable square evidence, which may not come in this life despite all our work.